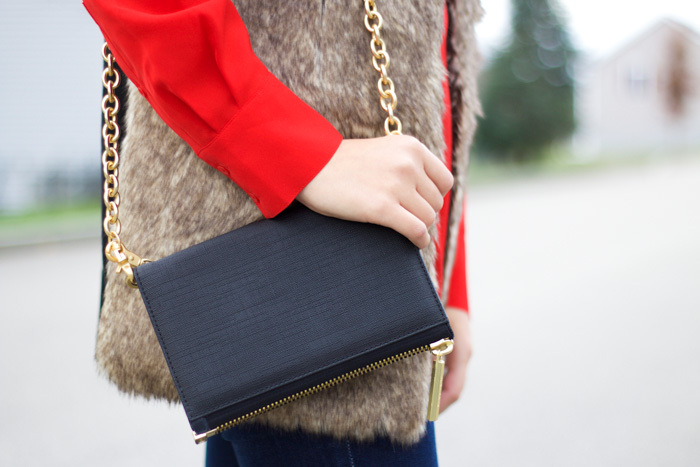 In case you thought I was joking about wearing "holiday themed" outfits until Christmas, I wasn't :) I think faux fur accents are the perfect addition to any holiday outfit, they add the the perfect touch of glam and can quickly dress up an otherwise casual outfit! 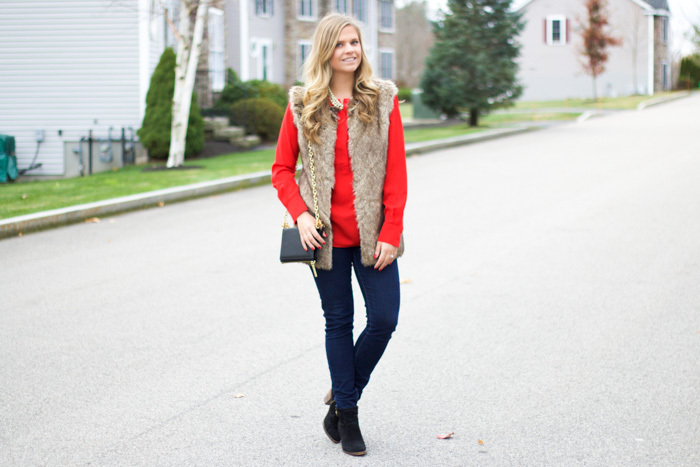 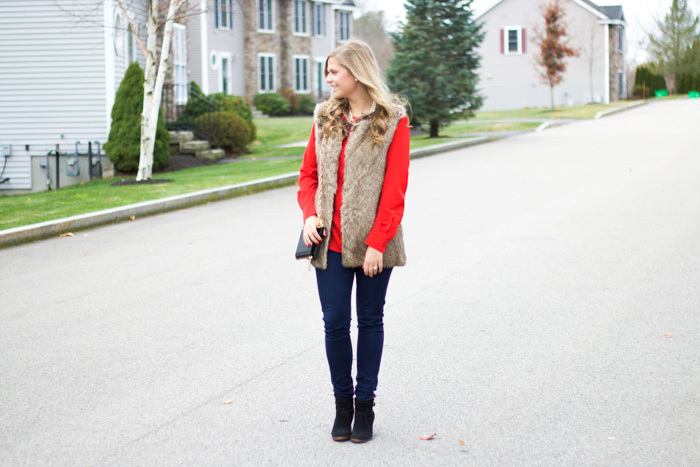 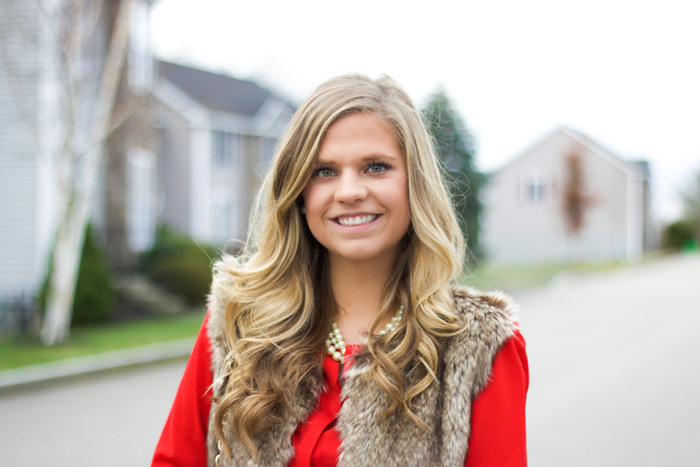 This faux fur vest (last seen here) has quickly become a staple in my closet! 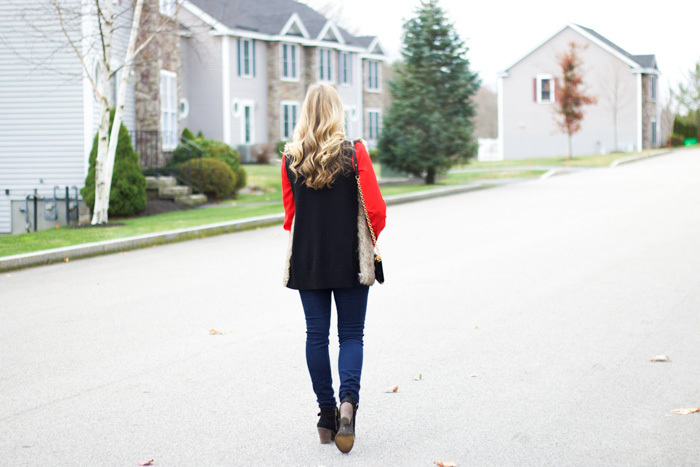 I really like that the back is knit as I often find faux fur vests to pretty bulky but this one is the perfect weight! 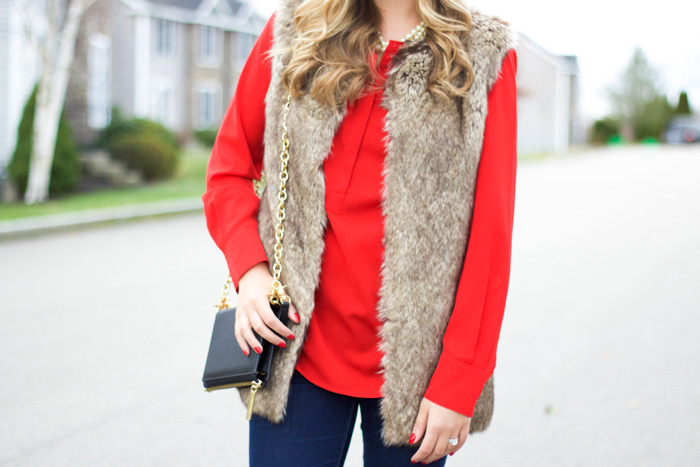 I would also love this vest paired with a shirt dress or a super glam skirt!